Tilo&Toni (L Reinard and T Cullmann) was born in 1989 and 1981 in Heidelberg and Giessen, Germany. Living and working in Amsterdam, Siegen and MÃ¶nchengladbach. From 1998 to 2001 apprenticeship as a stonemason and started to study at University Siegen, Germany art and german in 2010. From 2015 until today studying at the Gerrit Rietveld Academie, The Netherlands and teaching at secondary school in MÃ¶nchengladbach, Germany. Nominated for â€šgute aussichten, plat(t)form Winterthur and selected for European Photography Award 2016. 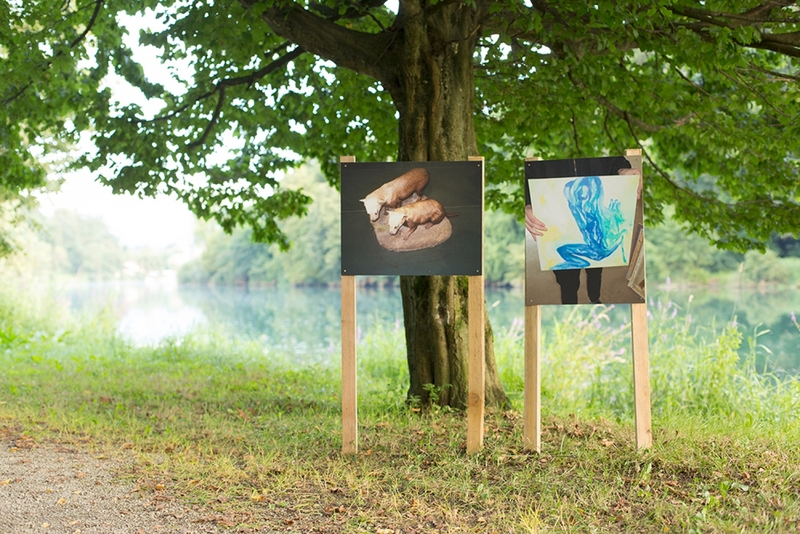 Art Award of the University Siegen 2012 and 2014. NRW-Scholarship 2012, 2013 and 2014. Fotopub Portfolio Prize Winner 2015. 2015 scholarship Erasmus and DAAD scholarship in 2016. 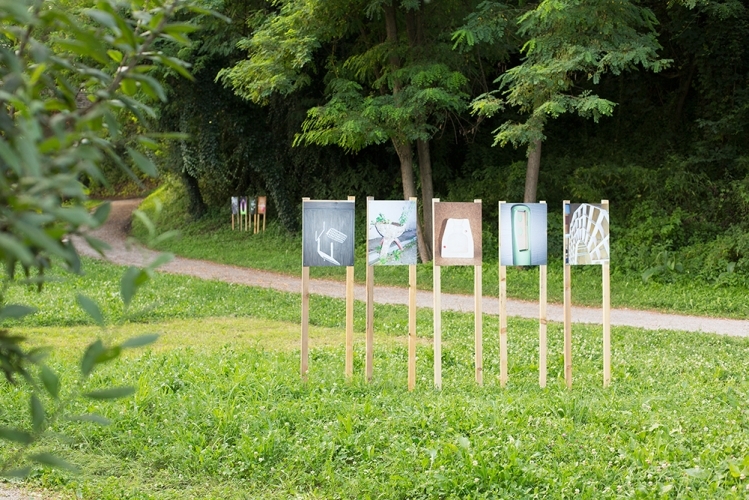 Tilo&Toni exhibited his work in Kunstverein Malkasten DÃ¼sseldorf, Museum fÃ¼r Gegenwartskunst Siegen, Kunstraum DÃ¼sseldorf, Kunstverein Siegen, Unseen 2016, Metronom Gallery, Fondazione Fotografia Modena, Saar Gallery SaarbrÃ¼cken, Gallery Reinard Giessen, KID KIBLA Gallery Maribor, Studio 47 and Punt WG Amsterdam. Work is featured in Near East Istanbul Magazine and online at YET Magazine and KubaParis. Our initial idea for this year's Fotopub is to work with types of images that are imminently linked to concrete locations in terms of content and topology. 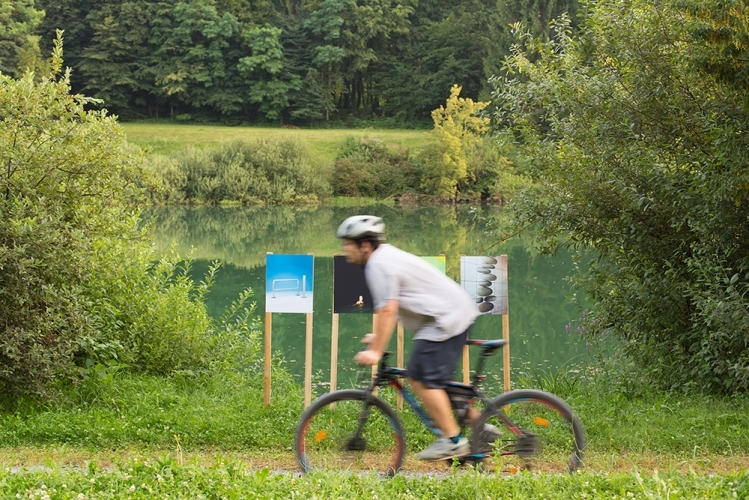 Image types such as road signs, explanatory plates or illustrative notifications are public images, which inform a viewer at the specific location of the specific circumstances of this very place. Virtually, they are regarded as "displaying images". Think of an information board outdoors that is found on a marked tourist path giving you an overview of the flora and fauna that can be found in this area, or a computer visualization at a construction site depicting probable future landscapes, or billboards at the archeological excavations or parks, referring to long passed cultures. These informative or rather didactic images imminently have a time-related reference to their particular location. The immediacy of the relation between image and location can vary, often demanding a certain level of imagination to mentally reconstruct the location's condition in the far past or future. 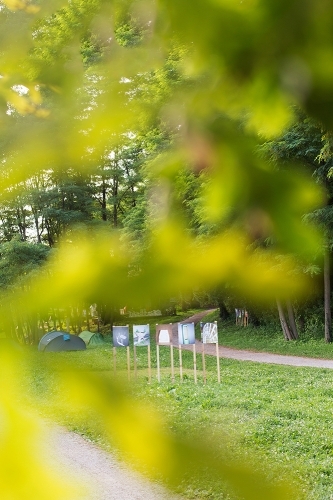 The decision of the exhibition space on the campsite of Novo Mesto forms another keystone to our exhibition. An utterly neutral exhibition site does not exist in reality, however, the idea of the White cube indicates such ideals. 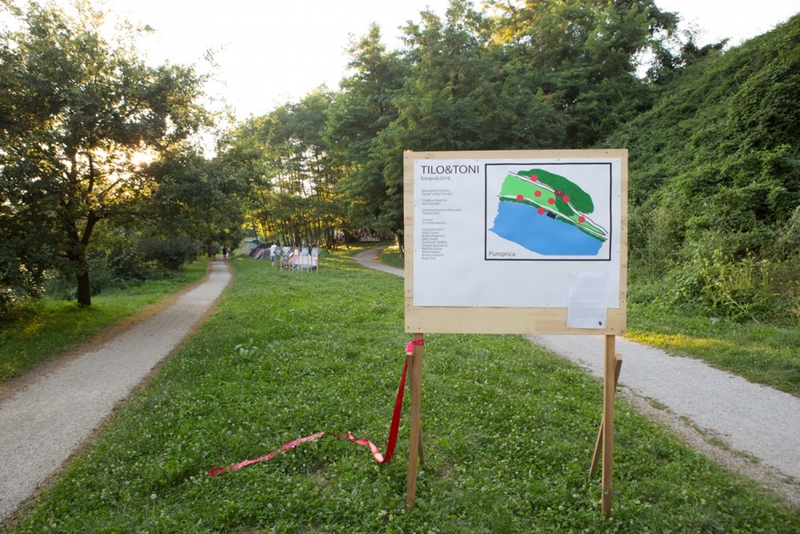 If an exhibition site is chosen, not within the range of experience of the visitors and which does not possess the neutrality to give these artistic works "room to breathe", it is important to precisely coordinate the location and work. An easy method is to design the work in such an obvious way that it physically dominates the location. The more complex method is to capture the location's structure and its meaning in order to put the work in context. 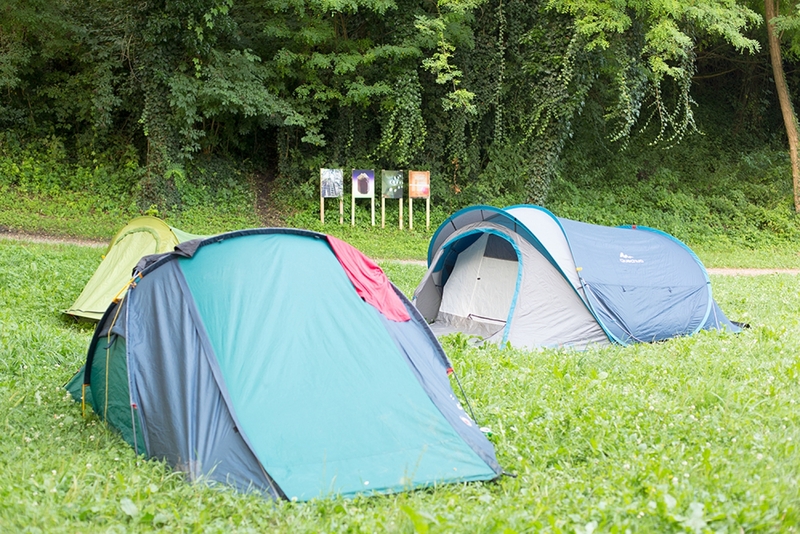 Ideally, location and the artistic work form a unit. The location becomes the artistic work. 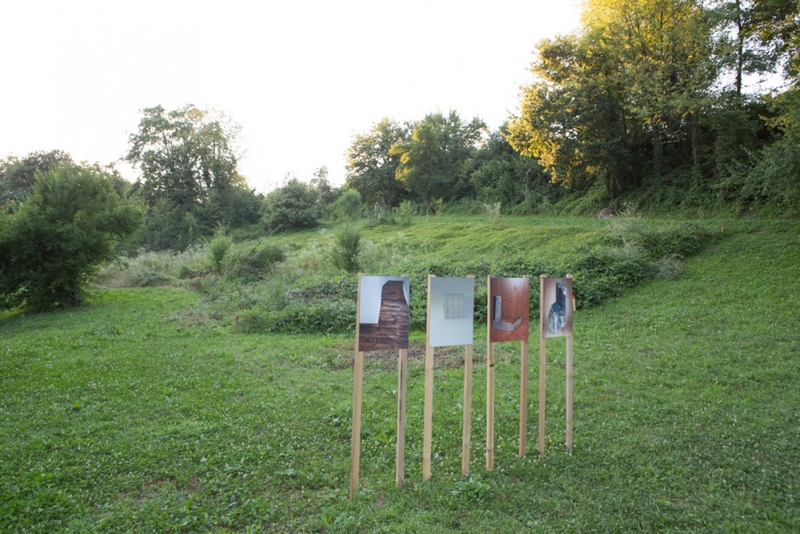 The added artistic work "activates" the location in a certain way. 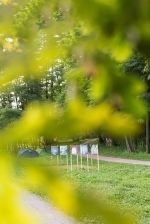 The combination of the campsite as exhibition space, with the public displaying images as described previously, yields particular themes such as leisure, construction site, archaeology, nature, handcrafts and the like. We further differentiated these themes, collected images, combined and edited them. The aim is not only that our images, just like their patterns, fulfill the function of a location-oriented reference but also that they go beyond this notion. Whilst we concentrate on a specific genre with regards to the installation within the frame of Fotopub 2016, it is not the case that other interests in images are being left out. In all cases it is about the contemporary and artistic production of images that spark an interest in us in all their manifestations. Our basic principle in dealing with images is that we don't want to move in accordance to the common usages and aesthetics but rather we want to transform them. The difference is in the distance, which we, as authors of the images, adopt or at least try to adopt. Of course on the other hand, it is about getting involved with such images, to enjoy them and to be drawn into their maelstrom. We believe that too much distance will lead to rather dull and purely intellectual work. The motto is to get the balance right between proximity and distance. The show is curated by Ziva Kleindienst.